With the potential to be a nuisance and a health threat, mosquitoes can make anxious customers start calling your offices this spring. Be prepared and ease their concerns with a comprehensive approach to guaranteed mosquito control on a 60-day treatment cycle with the SecureChoice℠ Mosquito Assurance Program from Syngenta. This assurance program was built by a team of technical experts to provide proven mosquito application recommendations with guaranteed performance. This simple, yet powerful approach was designed to help you grow your business. The SecureChoice Mosquito Assurance Program recommends the combination of Demand® CS insecticide and Archer® insect growth regulator (IGR) applied on or about every 60 days. Featuring patented iCAP™ technology, Demand CS releases thousands of microcaps of different sizes containing the active ingredient, lambda-cyhalothrin. Smaller microcaps release the active ingredient quickly for immediate control, while larger microcaps release more slowly for longer-lasting residual control. 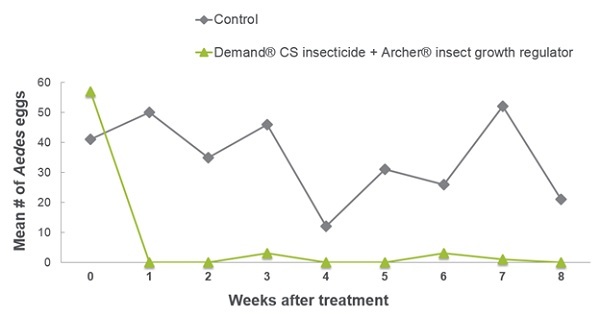 In a trial by Dr. Phil Koehler at the University of Florida, applications of Demand CS plus Archer significantly reduced the number of Aedes aegypti mosquito eggs through eight weeks post-treatment. With our program approach, you can discover great value at a favorable price point and a simple one-step treatment for your customers. For more information, visit www.SyngentaPMP.com/Mosquito. 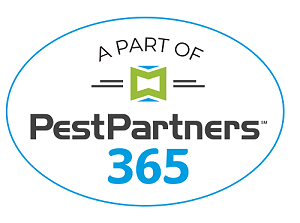 *You must be qualified for the 2018 PestPartners 365 Program to receive product rebates. ©2018 Syngenta. Important: Always read and follow label instructions. Some products may not be registered for sale or use in all states or counties and/or may have state-specific use requirements. Please check with your local extension service to ensure registration and proper use. Archer®, Demand®, For Life Uninterrupted™, iCAP™, PestPartners℠, SecureChoice℠ and the Syngenta logo are trademarks or service marks of a Syngenta Group Company. Syngenta Customer Center: 1-866-SYNGENT(A) (796-4368).